In one of our tests, we took two rooms in the same house in which we had done the identical SaferBuilding demolition, floor refinish, paint; but selected two different types of furniture. 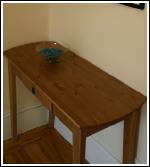 One had solid wood furniture while the other had particle board furniture. The difference was striking. A lot of commercially made furniture is stylish, but is made with materials that "outgas" for months after their purchase. The chemicals released into your airspace can be harmful to your health. 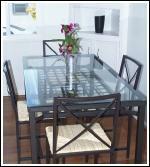 Stylish furniture which is also safer, is easily found if you know what you are looking for. 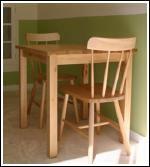 Buy this informative how-to sheet to learn how to select safer furniture materials.